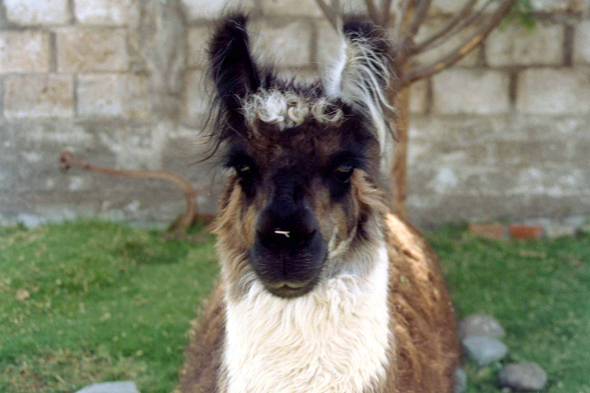 The llama is the largest of the camel family. It measures 1,15m at the withers and weighs approximately 100 kg. Used to carry heavy loads, there can remain five days without eating. Its wool, coarser than that of the alpaca, is identifiable to the touch by its roughness.